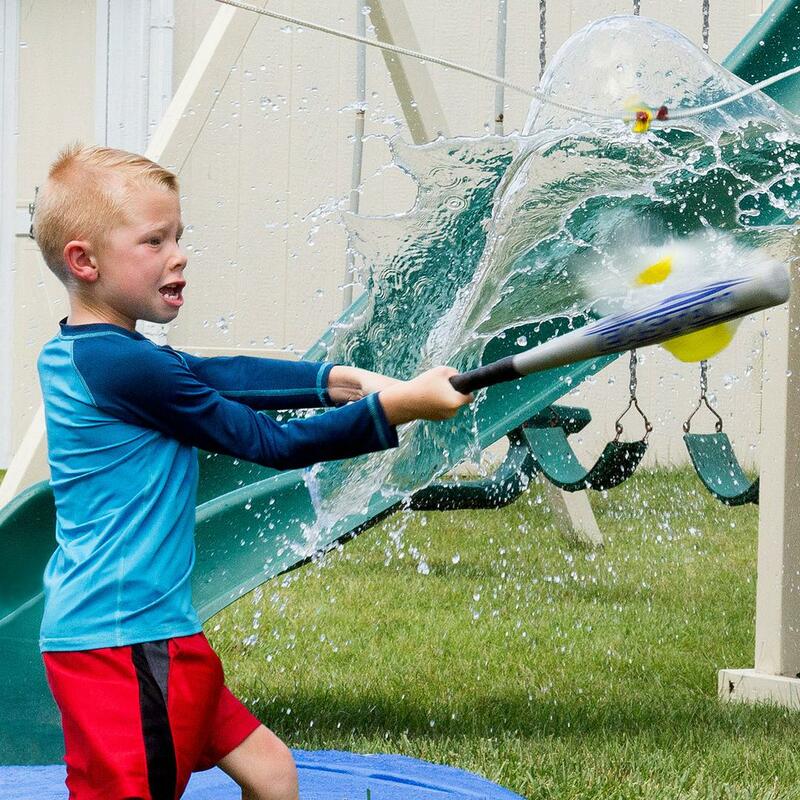 Create a splashing bash in your own yard. These five super-soaking ideas are guaranteed to keep you and your friends cool all summer. 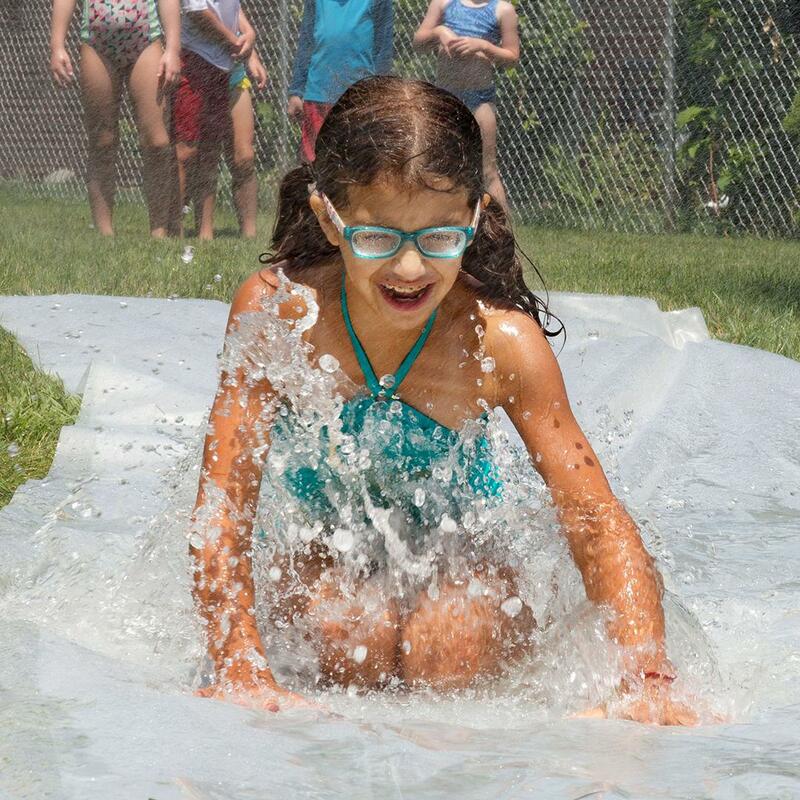 All you need is a hose, a slide and plastic sheeting. Place sheet at bottom of slide. Position hose at top of slide to keep the surface slippery. 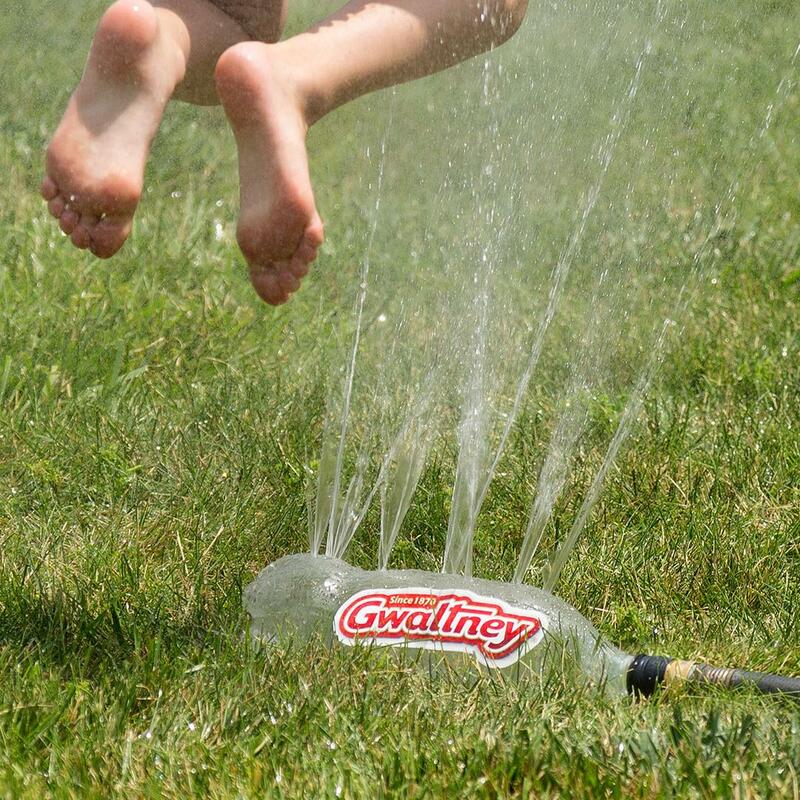 The classic splashing lawn game. Line up sheets of plastic to create a runway. Position sprinklers around the sheets. 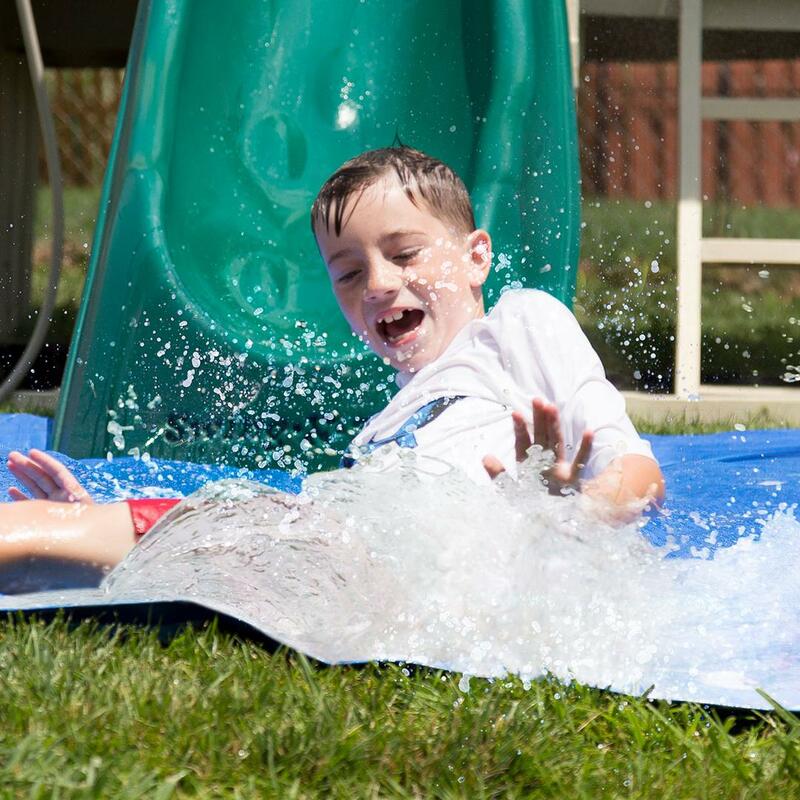 For a faster slide, squirt dish washing liquid to create suds. Hang old sheets or large sections of cardboard on a line or lean up against fence or easel. 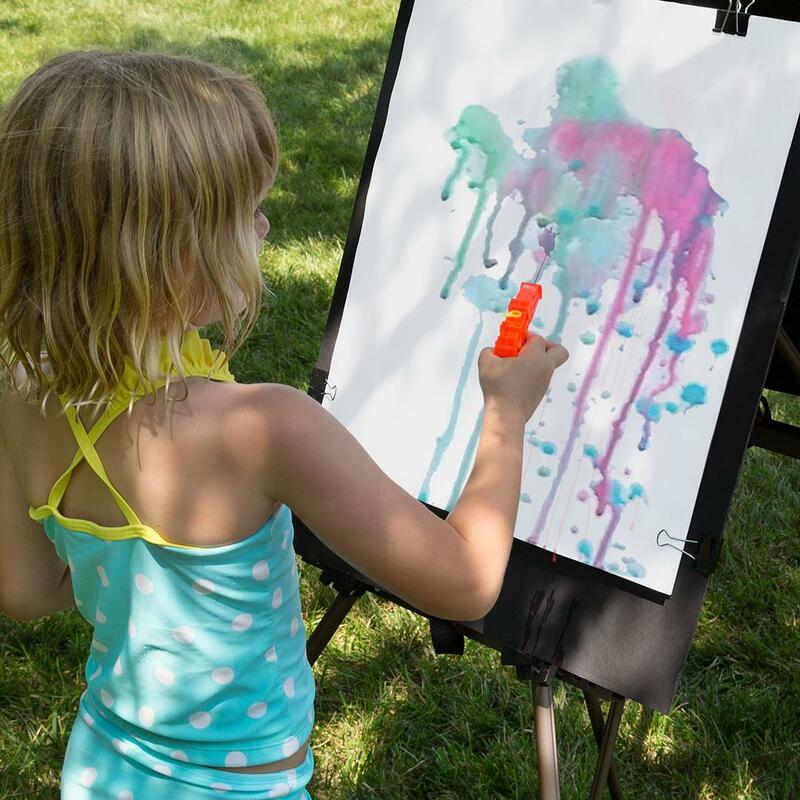 Fill squirt guns with (washable) craft paint and dilute it with water to let your artist out. A wet twist on everyone’s fav. Hang water balloons along a length of rope or tree branches. Use a broom handle or bat to take aim. Then start swinging. Grab an empty 2-liter bottle and poke holes all around one half. Tape it to the end of a hose for a DIY sprinkler.